The very idea of encouraging young people take on life-altering debt at the outset of their adult lives should have given pause to the architects of college loan programs. But it didn't and we end up with a complicated and destructive federal system of loans. The feds currently offer multiple loan types with a dizzying array of terms and as many as eight different repayment options. Perhaps the least equitable are PLUS loans. 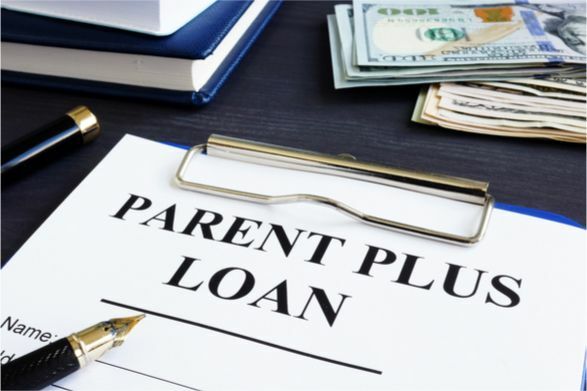 The loans—which come in “Parent” and “Grad” varieties—are available without regard to income and are capped only at the total price of attendance, which includes all living expenses. They aren’t means-tested but require a credit check, which skews them toward wealthier families. Since 1998, PLUS loans have increased from roughly $4.4 billion to $23.1 billion and nearly tripled as a share of all loan volume. As tuition fees and living costs have increased steadily in the past two decades, outstripping inflation by more than 2 points each year, so has PLUS loan borrowing. Or maybe it’s the other way around: A recent Federal Reserve Bank of New York report suggests that every additional dollar of student credit fuels tuition inflation of up to 60 cents. It is absolutely mind boggling that a loan can be made without a cap or reference to the family's income. But, hey, you've got the rest of your life to pay it off! And that, unfortunately, is what some grads seem to be doing. The loan taken to get ahead ends up holding the borrower back. The Trump administration has proposed a cap on this loan. Until 1993, a PLUS loan could not be more than $7,000 (in today's dollars). The average annual amount not is around $16,500. The real issue, however, is not how we arrange loans but why the cost of college is now so inflated that the loans are almost universally necessary. College costs so much that nobody but nobody could work her way through college nowadays. The cost of college (and for many of us the stark realization that what's on offer in many of the brand name colleges reeks of indoctrination) has led many of us to ask a radical question: Is a college degree all that it is cracked up to be? Several students give their answers to this question this morning in another Wall Street Journal offering headlined "Take the Bachelor's Degree Off Its Pedestal." Getting into college reflects some degree of academic achievement, but with rampant grade inflation at many elite schools, transcripts may not reflect much more. The pedestal on which we place the bachelor’s degree is in many cases unjustified. Doing the job well is what matters, not the institution on your résumé. College has become an overpriced, four-year summer camp. Living with other young adults provides ample opportunities to socialize, make lifelong friendships, and pursue enjoyable pastimes from basket weaving to rock climbing. But the academic aspect has largely been reduced to obtaining the highest grade-point average while not offending anyone. The majority of coursework serves only to prevent students from having too much free time on their hands. That’s all great until you consider the bucketloads of money colleges charge. A great reckoning appears to be on the horizon. .